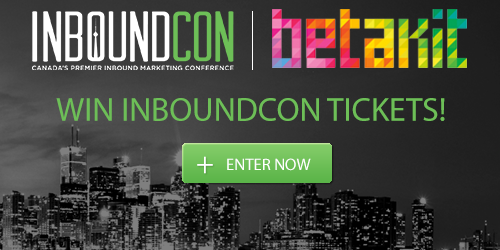 One lucky BetaKit reader will receive two tickets to next month’s InboundCon 2014 in downtown Toronto, and all you have to do is answer one of two simple questions in the comment section. Hosted by Powered by Search, InboundCon 2014 will happen on September 18. 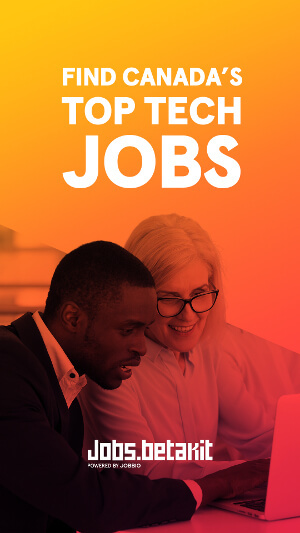 Speakers will include Shopify’s head of conversion rate optimization, Tiffany Da Silva, Bing’s “search evangelist” Andrew Yang, Powered by Search’s founder Dev Basu, Uberflip’s marketing director Hana Abaza, and more. 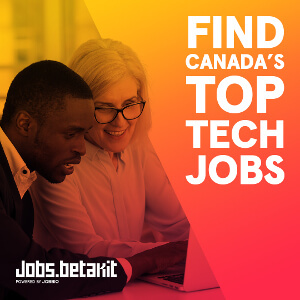 BetaKit and Powered by Search both want to send one lucky person and a friend to the conference. Two tickets to InboundCon 2014 carry an $800 value. 1) What marketing software can you not live without? Or 2) Which Canadian startup’s marketing do you admire the most? Let us know your thoughts and we’ll pick a winner on Thursday September 4 at noon! The Red Pin has lived up to the promises in it is messaging making the company worthy of my admiration. Google analytics. The company I admire most from top to bottom is Tunnel Bear. I can’t live without hubspot. I love publishing landing pages on-the-fly, linking inbound data with salesforce, writing interesting code that connects with Hubspot’s api, and automating tons of stuff into awesome workflows. Can’t live without Google Analytics. The best company for marketing has to be 500pixels. I think the buzz around their legal pages are definitely interesting! For me, the answer to ‘what kind of marketing software I can’t live without’ is WordPress….it allows me to quickly add a Blog to any client site and boost authority/trust levels via content! Cool app! Marketing software I can’t live without. Without a doubt my choice would have to be Rank Tracker from Link Assistant. Unlike the vast majority of rank checking software which updates rankings weekly, biweekly and monthly Rank Tracker is a la carte allowing me to easily figure out what changes impacted a ranking change. I’d also like to toss out that I also CANNOT live without Unbounce for my landing page A/B split testing. Like Kelvin 500pixels is the start up I like to keep an eye out for. Mainly as they were a free service that accumulated a lot of users in a short period. With the introduction of paid plans im interested to see how their marketing team maintains their userbase and promotes their paid levels. Thanks so much for the opportunity, BetaKit! For marketing software, hands down would be Google Analytics. As for Canadian startups, there’s so many to choose from; however, off the top-of-mind I’d say Influitive, Intellitix and Tab. So excited that I won the tickets for the Inbound Marketing Conference! Can’t stop smiling – thank SO much, BetaKit! Email sent via the Contact Form. it has to be hubspot … the fact that I can create good looking emails and landing pages .. is a testament to how great it is! 2. The startup’s advertisement I enjoy the most is Shopify! 1. The marketing tool that I cannot live without is CallRail. I love their realtime analytics dashboard. The fact that you can pin point a keyword to a call is crucial to your PPC campaigns. 1. I’ve used Uberfilp before and has been a great tool to syndicate content from many streams. This tool is great to keep users on your site. The Moz culture is so authentic; their research retains the vision of delighting customers. Frank & Oak is doing a stellar job with their content marketing. I just saw a tweet about this contest that was tweeted an hour ago, so I am assuming this is still open? My favourite marketing tool is Buffer App. It makes my life a lot easier. (I also LOVE Google Adwords – it helps me fine tune my clients marketing with hard data rather than guessing, which is really, really useful). And I like the way that Kobayashi Online stays close to the WordPress community in Toronto and it super supportive of it. Sometimes the best marketing ploy is simple, honest interest in a community. It can generate heaps of goodwill and word of mouth.